With the weather here in the UK having been incredibly dry and hot these past few weeks many people have been reluctant to turn their oven on, myself included. 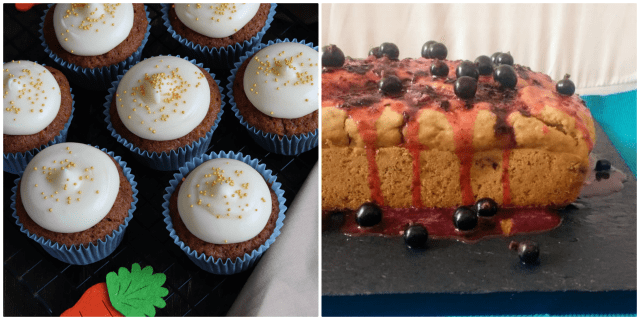 Nobody wants to make their home feel any hotter than it already does, so it was amazing that some braved the heat and got their bake on last month with some seriously scrummy ideas. 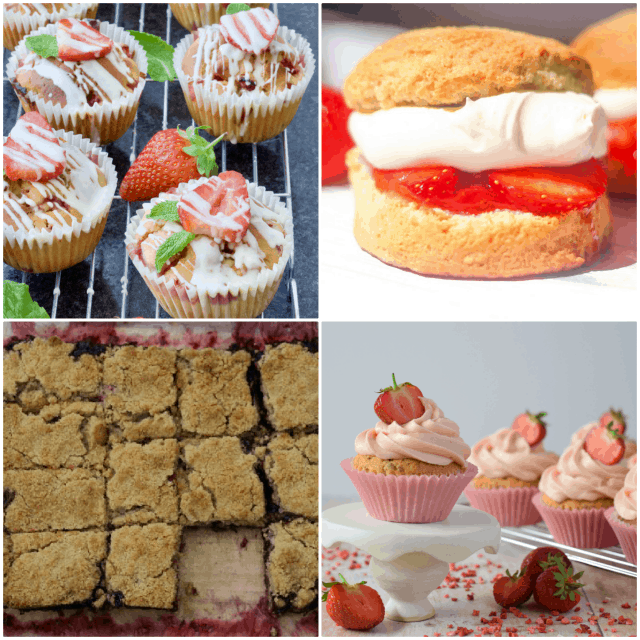 We’re talking mouth watering recipes which make the most of summer berries, yummy chocolate bakes, lots of recipes which are perfect for getting the children involved with, as well as some no-bake desserts which would be perfect if the weather turns hot again! and all will be revealed! I know many of you know first hand how much fun it is to host a linky: getting to know the bloggers who join in each month, drooling over their bakes, as well as sharing that inspiration on social media and here on the blog. But the flip side of that coin is how much time it can command. So, Jo of Jo’s Kitchen Larder who did an amazing job guest hosting #BakingCrumbs for me back in May has kindly agreed to be my co-host! Yay ?! #BakingCrumbs will remain a monthly linky for all of your fabulous bakes, with Jo and myself taking it in turns to be the hostess. We will both continue to comment, share and pin your bakes, as well as re-making one of the recipes in our own kitchen to showcase in the roundup. Although much of the way that #BakingCrumbs has functioned over the past year will remain unchanged, I’m afraid that the round up will change. We will produce a ‘highlight’ style round up aiming to include as many bakes as possible. Both Jo and I hope you understand the reason for the changes and continue to join in with the baking fun. Fun Recipes for Baking with Children. I just love how Kate’s gluten free Jammy Thumb Print Cookies transport me back to my childhood – they were such a fun bake back then and they’re still a fun bake now. keep the children entertained during the long summer holidays. If you’re after a super easy and yummy cake with a fun swirl through the middle, how about trying Cat’s Raspberry & Vanilla Swirl Sheet Cake! Colourful summer berries are great used in bakes right now, just like Jo’s Strawberry Muffins with White Chocolate Drizzle. beneath the generous dollop of double cream! the homemade strawberry buttercream frosting! Strawberry heaven! 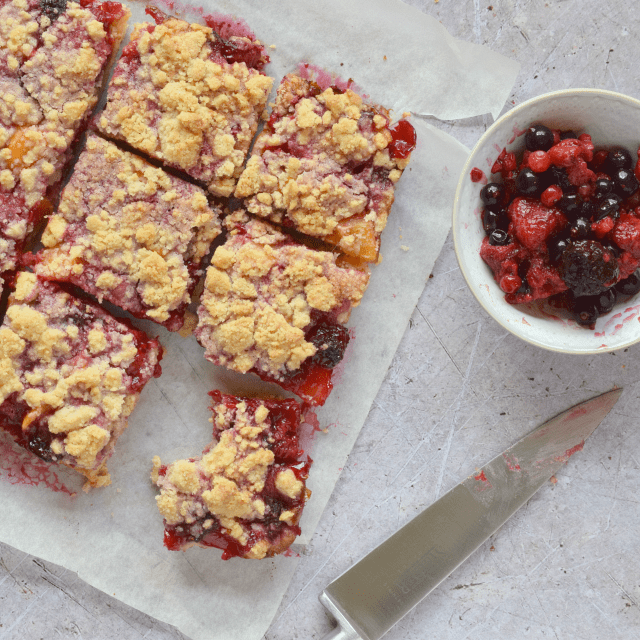 With summer berries in abundance how about trying Helen’s super easy Berry Crumble Slice! With masses of summer berries topped with a crumble, what’s not to like! If you’re not a fan of walnut or raisins in your bakes then Curly’s Carrot Cakes with Cream Cheese Frosting is just for you! Midge’s Gluten Free & Vegan Berry Courgette (Zucchini) Loaf with Blackcurrant Glaze is perfect for making the most of a bumper summer crop of courgette (Zucchini) and blackcurrants. read that there is real chocolate alongside a great choice of warming spices I’ll definitely be giving it a try when autumn arrives here in the UK! Chocolate Muffins are always a winner, just like these which Helen made with her young children. If you’re a fan of the humble Bourbon Biscuit (and I mean, who isn’t! ), you need to check out Jenny’s Bourbon Biscuit Cake. It’s totally inspired. And looks totally yum! Does the sound of Gluten Free Alchemist’s no bake Lemon Ginger and Dark Chocolate Tart with its ‘explosion of flavours and textures which compliment and contrast each other, whilst exciting each and every taste bud‘ get your mouth watering at the mere thought of it? It does mine! If you’re lucky enough to have got your hands on some yummy seasonal gooseberries Glutarama’s Gooseberry Fool Crumble could be just the recipe you need. Plus it’s free of gluten, dairy and eggs. Caroline’s Oreo Marshmallow Fluff Cheesecake is another great no-bake dessert perfect for these warm summer evening that we’ve been enjoying. kirsch, is a delicious twist on the popular Black Forest Gateau. Amanda who shares here tips and tricks in her Retro Iced Gem Cake Tutorial. and finished with fresh juicy cherries, what more do you need! 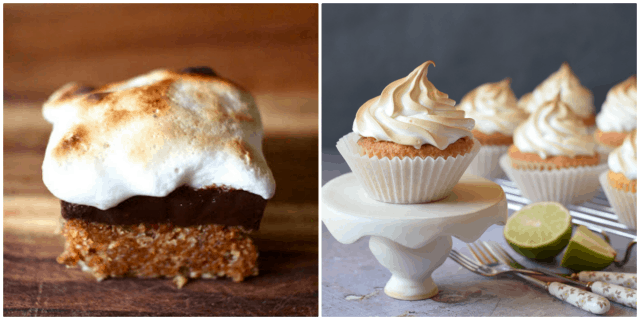 Recipes with Meringue / Smores. How does S’mores made with a vegan marshmallow grab you? The idea sounds wonderful to me. I mean we all love a bit of toasted marshmallow don’t we! Our Lime Curd Meringue Cupcakes is inspired by the popular Lemon Meringue Pie, and taste just as yummy! including a Nut Roast with Herb and Tomato Layers (and candy cane pizzas for the children!). Surely one to pin ready for the festive season. How does a French Apple Cake, from Jhuls at The Not So Creative Cook grab you? It definitely gets the thumbs up from me. The bake we chose to try from those linked up this month was Helen’s Berry Crumble Bars. The thought of seasonal berries, an easy to make dough, and a crumble topping sounded just up my street – after all I’m a huge fan of fruit crumbles and trying it as a traybake was singing loud and clear to me. In fact having some partially defrosted fruits to hand (I ended up using a mixture of raspberries and mango pieces) after defrosting our freezer proved to be a really great way of putting them to good yummy use. It certainly lived up to expectation, and being a crumble fan those expectations were high. It was simply divine. The fruit juices turned deliciously sticky and jammy around the edge. The base and crumble topping (made with the same dough) was wonderfully buttery as well as a doddle to make too. It was just the treat we needed after a long day, and soon disappeared when we shared the pieces with hubby’s work colleagues. You can find lots of child friendly recipes over at Helen’s blog, Cooking with my Kids. Now onto August’s #BakingCrumbs Linky. If you’ve got a bake to share, join in with #BakingCrumbs! Baking Crumbs is for all of those sweet and savoury bakes, where there’s the potential for crumbs! Pies and pastries, cookies and flapjacks, cakes and cupcakes, brownies, meringues…….. Grab the badge and include a link to this post on Only Crumbs Remain in your post. Link up to 3 new bakes with a clear image, using the linky below. (Feel free to contact me if you have any problems doing so). Where applicable include the source of the recipe, though do use your own photos. Join me in making this a great baking community by sharing the blogging and baking love! Do spend some time commenting on, sharing, and stumbling those bakes which catch your eye using the #BakingCrumbs hashtag so people know where you’ve come from! Feel free to Tweet us @JoKitchenLarder and @Onlycrumbsremai (the ‘n’ is missing – I ran out of characters!) using the hashtag #BakingCrumbs and we will re-tweet all those that we see. And why not use the hashtag #BakingCrumbs on Instagram too! 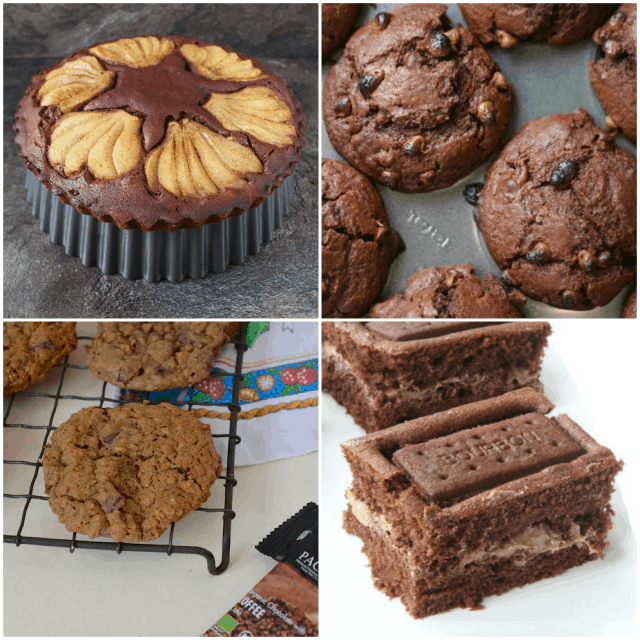 You’re also invited to join the Baking Crumbs pinterest group board! Just drop me a note and I’ll get you added to the board! Please note, by linking up you are giving Jo and myself permission to use your photograph in the round up and on social media too. We will both be commenting on all of the bakes entered into the #BakingCrumbs linky. We will also be sharing your delicious bakes on Twitter, as well as Pinning and Yumming them (where there is a ‘Yum’ button)! At the start subsequent month (usually on the 1st) either Jo or myself will share a ‘highlight’ round up including as many of your bakes as possible, as well as highlighting what we were tempted to recreate in our own kitchen that month. Yay for managing to do some baking 😀 It's amazing how much time hosting a linky demands isn't it – and thankfully Jo agreed to be my sidekick – hurrah 😀 I enjoyed do a full round up of all the enteries shared and grouping them together but being realistic it was taking far too much of my time so sadly changes had to be made. Hopefully the new routine will work for both Jo and myself. Aw thankyou so much Johanna. There's some great inspiration isn't there. Yes, I totally agree, roll on Bake Off – I love watching and baking along with that show it always pushes me out of my baking comfort zone to try new techniques and ideas. I know just wat you mean – it can be so difficult finding time to fit everything in, but yes everything is good thankyou – trust you're doing good and going from strength to strength with your new hip.